According to recent reports, the annual accident rate for fleets is currently around 20 percent and each results in an average cost in excess of $24,0001. These statistics shed light on an area of opportunity to improve driver safety, which starts with adopting the proper training programs. Researchers at leading traffic safety institutes around the world acknowledge that training can play an extremely important role in developing cultural values, beliefs, sound habits, and skills. But, that’s only if the proper instructional design methods for adult learners are incorporated into the training regimen. Why is this important? Because properly trained fleet drivers can lower their risk of crashes using advanced driving techniques. However, gaining control of the behavioral challenges of drivers— the largest safety issue fleet operators struggle with today, still seems elusive when using outdated training methods. This is an indication that it’s probably time to take a new approach and reevaluate your driver safety training program in terms of sound instructional design, inclusion of higher order cognitive skills, and determine if your drivers are receiving relevant information to deal with today’s complex traffic safety issues. Malcolm Shepherd Knowles, an American educator, is renowned for his authoritative work in the field of adult education. 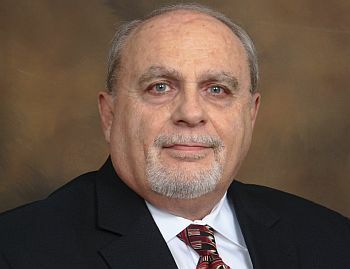 Today, the principles he formulated for adult learning serve as a roadmap for professional instructional designers who create and produce highly effective educational programs, including driver safety training. While keeping Knowles’ principles in mind, consider what type of driver safety training your fleet provides to employees. 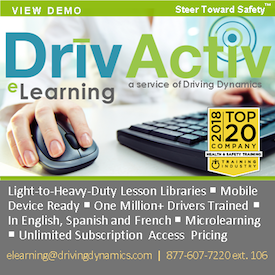 Are your drivers attending courses that only consist of multi-hour lectures covering rudimentary defensive driving principles, but no training behind the wheel to apply what’s been learned? If so, it’s possible the trainings you’ve been spending money on are ineffective for long-term results because they provide little to no personal involvement by the learners. Sophisticated training providers that incorporate Knowles’ four principles can deliver driver safety programs that not only focus on traditional advanced driving skills and situational awareness but also “higher order cognitive skills” (e.g., perception, insight and motivation). A study conducted in 2011 (Isler, Starkey and Sheppard2) determined that participants who received higher-order driving skills training showed a significant improvement in relation to visual search, improvement in hazard perception, safer attitudes to close following and dangerous overtaking, and a decrease in driving related overconfidence (e.g., speeding, aggressive driving, etc.). Their attitude and behavior toward risk were also changed to support these important safety functions. The driver, after mastering the necessary advanced driving skills, should also be encouraged to engage in the focus and outcome of his or her training. In other words, a program that coaches drivers through a self-assessment process that can reveal and personalize the experience based on how the individual really performs behind the wheel. Through this coaching process, drivers learn to acknowledge the dangerous level of risk from their activities and behaviors. Most importantly, drivers become motivated with a keen, lasting desire to eliminate those risky elements from their driving routines which ultimately results in less fleet driver crashes, fewer claims payouts and a safer environment for all on the road. It’s important to ask questions and to keep Knowles’ four principles in mind when evaluating the design of your provider’s suite of services. Look for programs that coach your drivers to be self-aware, helps them address poor driving habits, risky behaviors and improves diminished skills on a more personal level. 2Isler, R.B., Starkey, N. & Sheppard, P. (2011). Accident Analysis and Prevention 43, 1818-1827.